Feature: Product selects cotton canvas or EP canvas as skeleton material. Cover rubber and cushion rubber is styrene-butadiene rubber or chlorinated butyl rubber that has good heat resistant work. 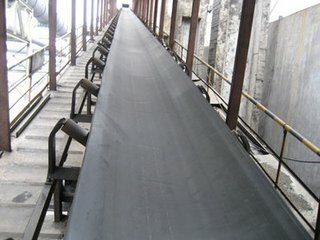 Under temperature of 150℃ and it is suitable for conveyor materials under the temperature 150℃.